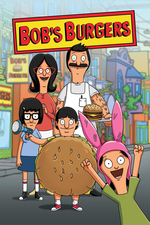 Bob's Burgers: Roller? I hardly knew her! Courtney sings a song about needing someone to lift her while roller dancing with Gene and Alex. I loved it at the end when the kids said I felt like we won! And the judges said no totally disqualified. Made me laugh more than I expected. Alex: "I tried to run here to meet you but it turns out I run slower than I walk, which was, um, was a letdown, I'll be honest." Gene: "My friend! That man took my friend!" Louise: "Not really. It's not a kidnapping thing. Keep walking." Alex: "I like-like every girl in our grade. And Strawberry Shortcake. I know she's not real, but my feelings for her are." Gene: *sings* "How do I get you aloooone?" Linda: "Ooh, is her car a ghost, too? Teddy, what do you think?" Teddy: "Ghost car. Ghost car." Gene: "I'm not sick, I'm just, I don't know." Tina: "His BFF up and BF-left." Tina: "I wouldn't mind seeing if there are any teens in jeans down there." Gene: "Damn right I am, sister. I'll do whatever it takes to get my buddy back, including making him diarrhea himself at a roller rink." Louis: "It's really the only way to show someone you care." Teddy: "Ok. I'm just gonna look at this spot right here on the counter. Wait, where'd it go? Shoot. No, I lost the spot! I lost the spot, Bobby! Don't let her in! Don't let her in!" Bob: "So, uh, is this game fun?" Louise: "Once you get to know all the ins and outs, and the players and the rules, it is not." Linda: "I'm great at math. Four!" Bob: "W-Why did you say four?" Bob: "You're saying numbers, but that's not necessarily math." Linda: "Yeah, but one of them's gonna be right. 12." Gene's power ballad was amazing. And I can't wait for Courtney's dad to steal the wizard robot game and try to sell it. I want to play the wizard robot game now. Unusually for a made-up game for a throwaway gag, the wizard robot game seems like it could actually be played.